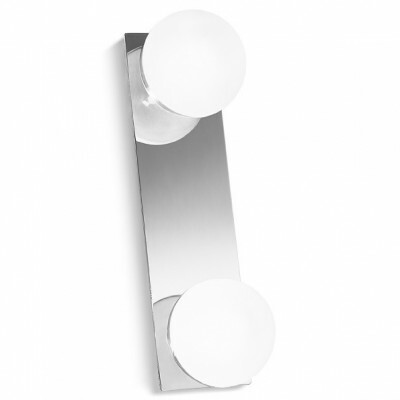 Wall or ceiling light for bathroom illumination. Metal base, chrome finishings, transparent and white etched glass diffuser. 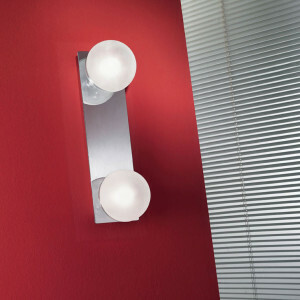 Boll light fitting suitable for mirrors measuring 54 x 9 cm, using three 33 watt bulbs. Boll lamp which could be used as wall or ceiling light for the bathroom. Metal frame. Available finishes: chrome, gold, silver and copper. The diffuser is made of clear satin glass. 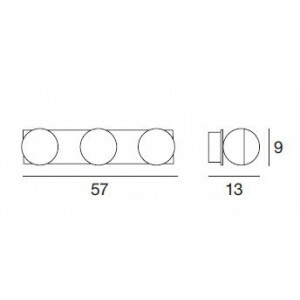 Base dimensions: 9 x 9 cm. Compatible with energy-saving bulbs. Wall or ceiling light for bathroom illumination. Metal base, chrome finishings, transparent and white etched glass diffuser. 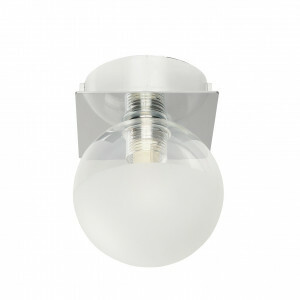 Boll light fitting suitable for mirrors measuring 30 x 9 cm, using two 33 watt bulbs. Ceiling light for bathroom illumination. 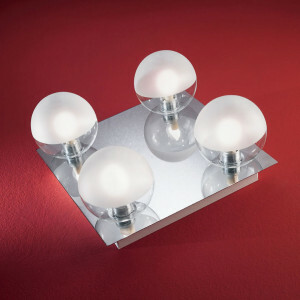 Square-shaped metal base, chrome finishings, transparent and white etched glass diffuser. Light fitting suitable for mirrors measuring 25 x 25 cm.